1.In large saucepot, heat oil over medium heat. Add garlic, carrot and onion; cover and cook 5 minutes or until vegetables are almost tender, stirring occasionally. Stir in lentils and cumin; cook 1 minute, stirring occasionally. 2.Stir in broth, tomatoes and water; heat to a simmer. Reduce heat to medium-low; add thyme. Cook 10 minutes or until lentils are tender, stirring occasionally. Stir in chard, lemon juice, salt and pepper. Serve garnished with parsley, if desired. Makes about 8 cups. 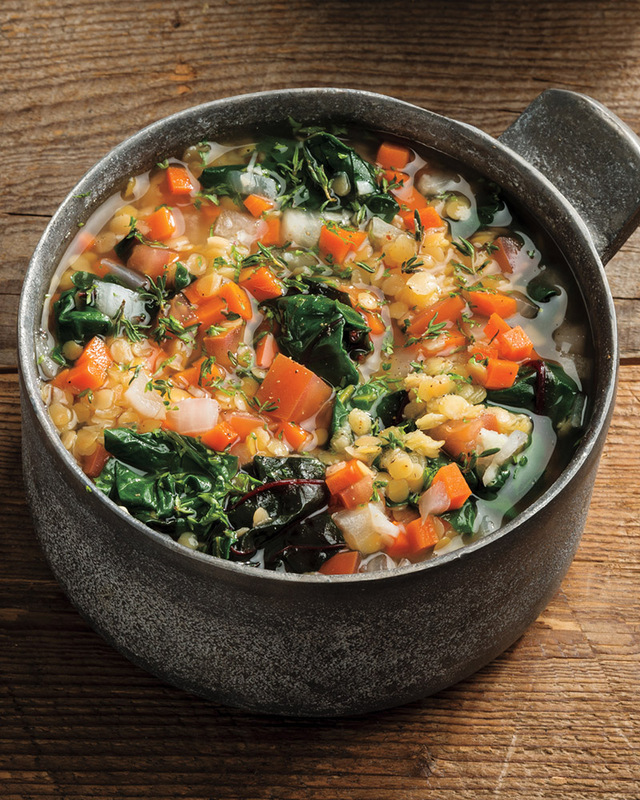 > Available year-round, Swiss chard is among the most tender and sweet of the cooking greens. Like all dark leafy greens, it’s high in nutrients.